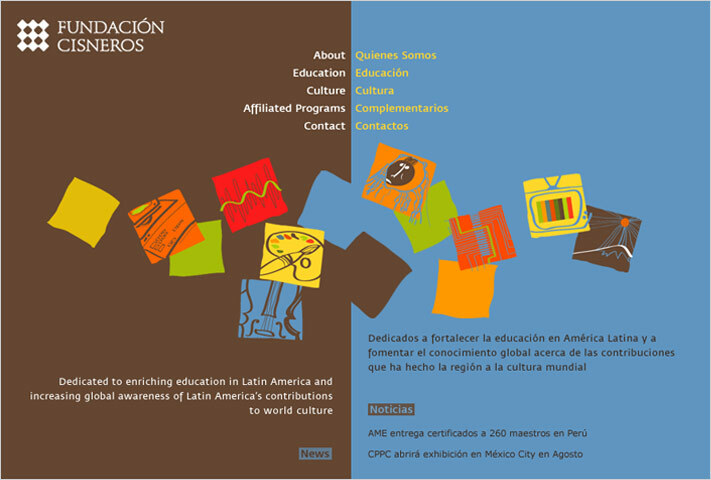 The Fundación Cisneros is a private, non-profit foundation dedicated to the future of Latin America and to increasing global awareness of Latin America’s contributions to world culture. Fundación Cisneros programs and partnerships focus on education, culture, the environment, and community and humanitarian services, and are built on the belief that education and freedom of expression are the foundations of a democratic society. Despite considerable focus on building websites for their programs, the Fundación Cisneros had never built its own website and needed something up quickly for an important international event. 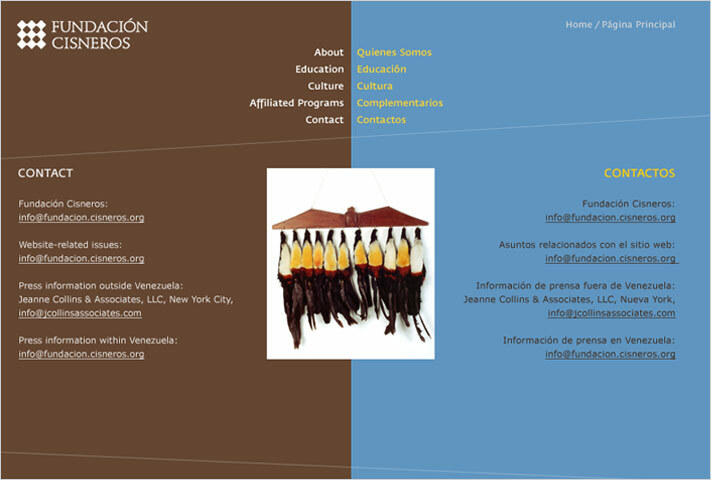 In response, Cabengo created a simple, handsome brochure site that describes the mission and programs of the foundation. We worked with the existing graphic look from the printed materials to ensure consistency across media. 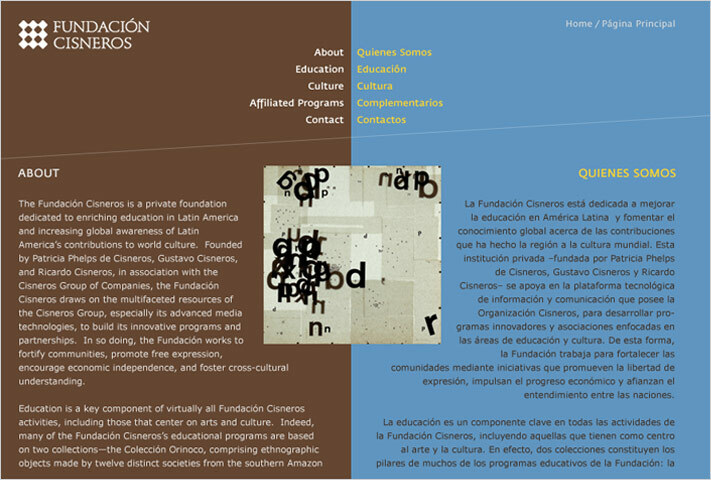 To underscore the foundation’s bilingual focus, we presented the content in English and Spanish on every page, using two contrasting planes of color to designate the language areas. 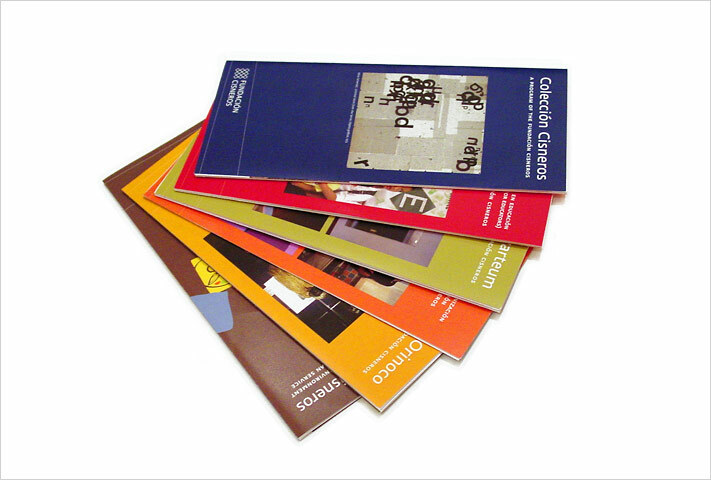 Cabengo also designed a variety of promotional materials, including a mini-CD, press folders, labels, invitations, signs, and a series of program brochures. In each case, we worked closely with the communications and marketing team to ensure that individual products advanced the collective communications goal and helped the Fundación achieve its larger strategic vision.